Race results for SCCBC-hosted events at River’s Edge Road Course are available here. 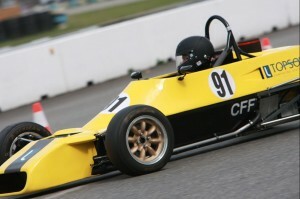 You can browse race events, then drill down to see session results, driver lap times, top speeds, lap charts and more. Drivers can use the results to see how they stack up against class competitors while fans can follow the race-by-race and lap-by-lap performance of their favorite drivers and their favorite class. Get started by clicking on an event to see classes and class sessions for that event. Then click on the name of a session to see session details. Speeds are displayed in kilometers per hour (km/h). “Best speed” refers to the fastest average lap speed for that session, and not the fastest speed that a car reached. Note that you may require a free MyLaps.com account to view some of the available information. While the MyLaps results format above combined with a MyLaps account will give you the greatest level of detail for your race results, some members prefer the familiar format distributed at the clubhouse on race days. These classic results can be downloaded by event date using the menus provided below.